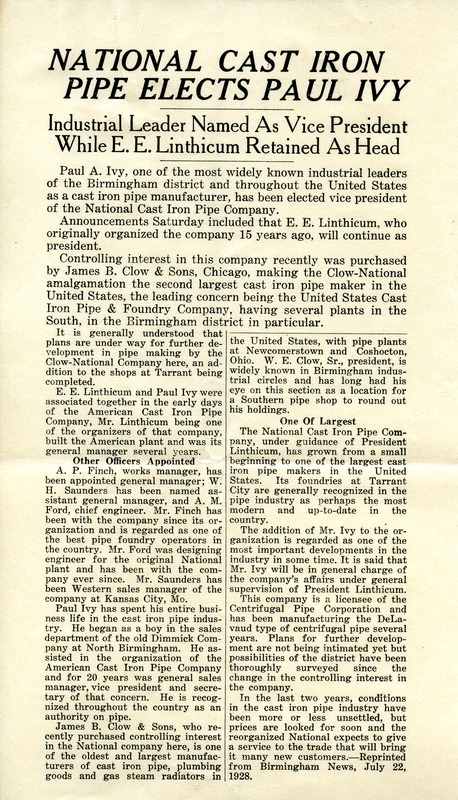 In this letter Paul Ivy tells Martha Berry that she is deserving of all of her honors. He also tells her that he wants he to meet Mr. W.E. Clow of Chicago. 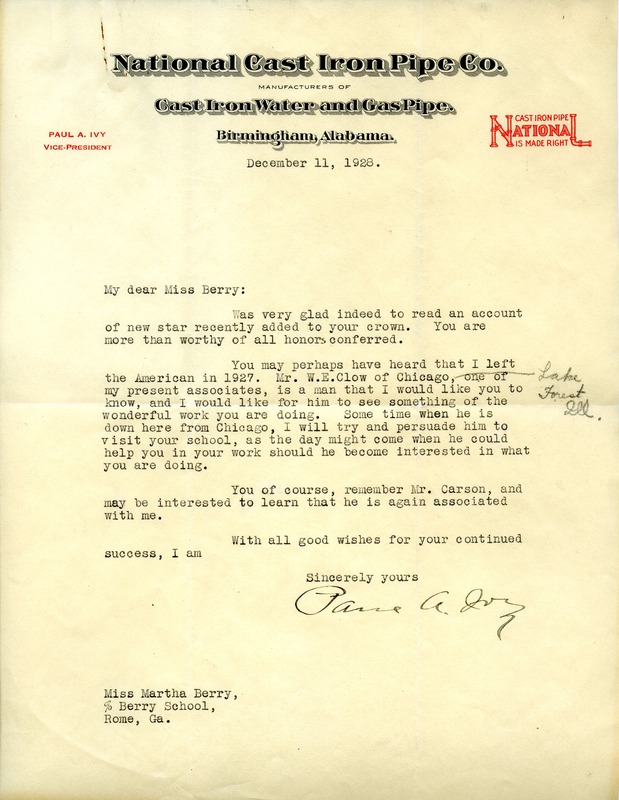 Mr. Paul Ivy, “Letter to Martha Berry from Paul A. Ivy.” Martha Berry Digital Archive. Eds. Schlitz, Stephanie A., Jordan Brannen, et al. Mount Berry: Berry College, 2012. accessed April 25, 2019, https://mbda.berry.edu/items/show/10702.